Spring has been overly busy for me this year and trying to make things happen on the big pit was failing. With this in mind I started to re-think my angling going forward. For many years now I’ve wanted to fish my local canal over the opening season, as the canal close to me still has a traditional close season in place. I decided to turn all my attention to the canal, searching them out and feeding them once I had found them. At first I started baiting in the edge with some particles and chopped boilie, however all this did was attract cray fish and lots of them at that. So I started baiting with hemp and tigers as I knew this would slow the cray fish down. 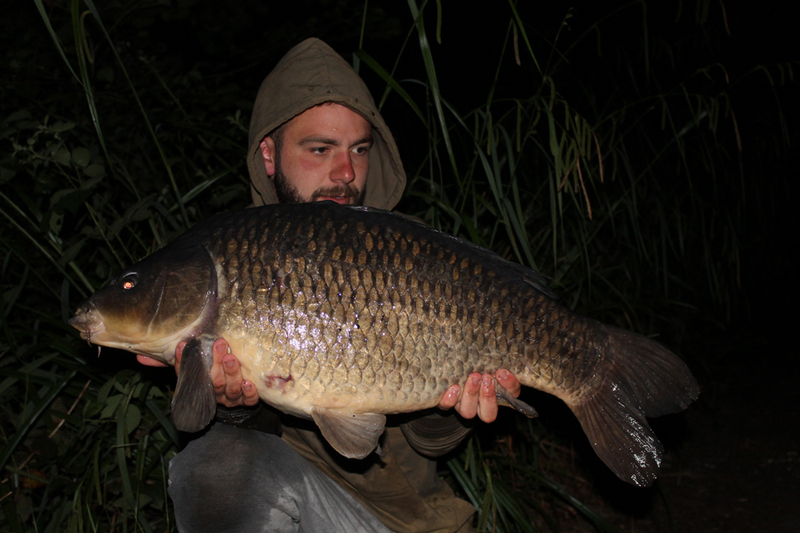 After a few evenings searching it was obvious the carp were liking one particular area of the canal. Being the close season they were quite happy to feed on bait in the edge. However, after watching for quite a while it was apparent the bigger residents preferred to feed in the deeper water, it was also obvious they loved a boilie! This put a big piece of the puzzle together for me as I now know that opening night I want to be fishing boilies in the deeper water. Bait choice was The Crave. You may be thinking bad choice with the crays that are about, but to be honest if the carp were about the crays were not a problem as they are scared off by them. If I started getting done by crays it was time to move on and find the fish again. Making the most of the close season after finding them, I decided to bait up a few different spots where I was seeing carp on a regular basis. Three different spots over 8 miles apart definitely took some effort to bait up after a long day at work, but I felt it would be worth it. June the 15th I was lucky enough to get my first choice of swim. All set up it was just a case of waiting for midnight to cast in! The day was spent watching fish, feeding them little and often building their confidence up. By midnight I had plenty of rigs tied and the rods were at the ready. Casting in at midnight wasn’t really the case, more a case of wading out half way and bait spooning bait out under the far marginal snags where fish like to feed. The good thing with this area was it wasn’t where fish were hanging around all day, just more a case of different groups of fish visiting quite often to feed. The baiting up had definitely helped. I hadn’t even put a lot in over a two week period but a kilo a night over two weeks is a lot more bait than what most canal carp normally see! The time was 12.10am and both my rods are in position. Only 15 minutes past and my right hand rod was away! I couldn’t believe the scrap and it probably didn’t help that I was using little reels and soft 10ft rods but what good fun! Eventually I managed to land the angry fish. 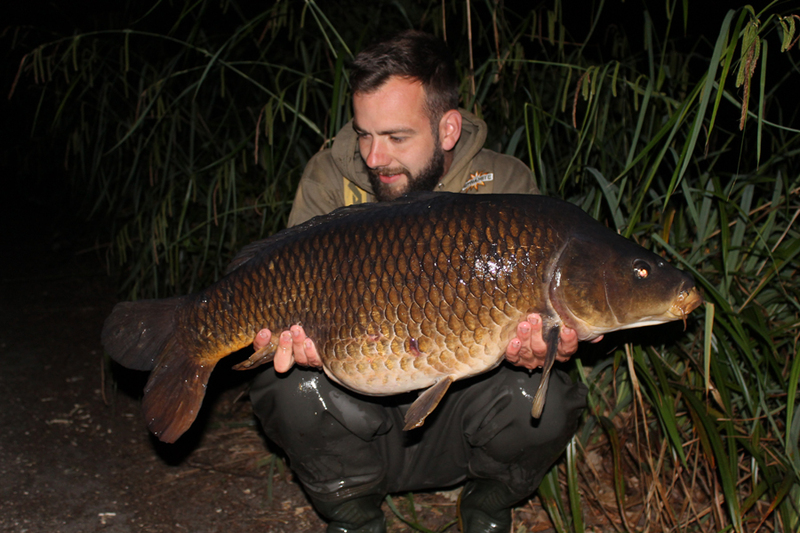 I couldn’t believe my eyes as I peered into the landing net, I knew…….know it was a canal PB. The fish went 29.8. A proper canal beast. I was over the moon and after the run around the fish gave me I didn’t expect another bite. How wrong I was as 10 minutes later I was in again, another angry fish going 26lb. I couldn’t believe it, two upper twenty commons from the canal not even a hour into the season! Both fish were passing bait out all over the mat, clearly loving The Crave. Hopefully if it’s not to busy I can keep the bait going in a sneak a couple more out.